"Debbie, Can you recommend any Native American folk songs?" "Debbie, can you recommend any Native American folk songs" (or music or finger plays) "that I can use with young children?" Each time, I write back to the person but each time, I've failed to fashion the reply into a blog post that I can point the next questioner to, so, today I'm trying to do that. First thing to say is not a surprise: most of what is out there is stereotypical. I searched the Internet and found so very much---so very much---and it is so very, very bad. I found Hollywood's version of Native music (think about the music you hear in Westerns). I found songs about specific Native people---all of them with lyrics that slot Native people into the mythical story about the founding and history of the U.S. And of course, I found the "Indian" counting song. Given that many children walk into the school holding stereotypical ideas of Native peoples, chances are high that they'd be able to hear the Hollywood Indian music theme and say "that's Indian music" (or Native American, or American Indian). The task, then, is to help them unlearn what they think they know about Native music by pointing out that the Hollywood Indian music was made up by someone who wasn't Native and that what they see in those Westerns is not accurate. 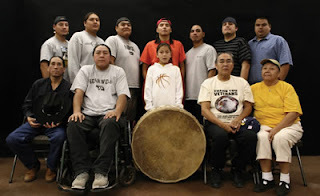 Move, then, to some music appreciation activities where kids listen to Native musicians. You could start with the familiar nursery rhymes---sung by Native singers. Start by having your students sing Old McDonald Had a Farm. Then, show them this photograph of the Black Lodge Singers. Point out that they dress much like your students do, and that there are times when they wear traditional clothing, but that most of the time, they're dressed pretty much like everyone else. And here they are singing "Kuna Matata." The footage includes Native children getting ready to enter a pow wow arena, and inside the arena, too. There are other videos, too, but do make sure to buy their CDs. You can also talk with students about the Grammy Awards, and tell them that the Black Lodge Singers won a Grammy for their music. 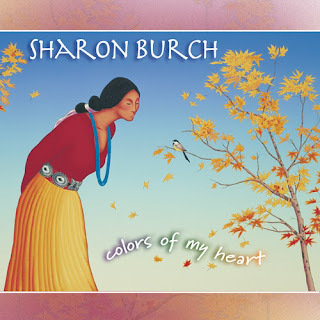 From there, you can introduce them to Native musicians like Sharon Burch. She is Navajo, plays guitar, and her songs are a mix of Navajo and English. Though it isn't marketed for children, her CD, "Colors of My Heart," has many songs children can listen to, and can learn the lyrics, too. At the Canyon Records site--an excellent resource, by the way--you can listen to portions of the songs on Colors of my Heart. Now--I realize that my suggestions don't fit within what you usually do in a music lesson or activity, but that's ok. You're a teacher, expanding what kids know. Give them something like I've suggested. Help them unlearn those dreadful stereotypes. And--for yourself and older children--spend time at the Canyon Records site. Get to know Native musicians. Note: If you have something you want me to consider adding to this post, do let me know! Especially if you use something developed by Native people in your area. 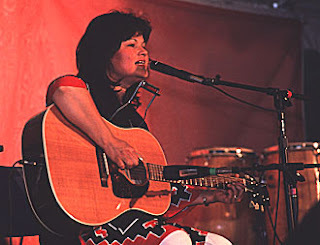 In comments, Art Coulson, author of The Creator's Game: A Story of Baaga'adowe/Lacrosse, suggested Joanne Shenandoah's "All Spirits Sing" for children. She is Oneida. I don't see that CD at Canyon Records, but they do sell three of her CDs and you can hear segments of her songs at their site. Reading the material on the page, I had one of those "Doh!" moments. I failed to point to Floyd Crow Westerman earlier! His songs aren't for young children, but they're definitely among my favorites. Art also recommended songs by the Mamas and the Papas, because Papa John Phillips was an enrolled Cherokee. I didn't know that! Thanks, Art! They say "Debbie Reese hates white people." A couple of years ago at a library conference, a friend (she is white) told me about conversations she's had with people who say "Debbie Reese hates white people." She tells them that isn't true, and I'm grateful to her for doing that. It seems silly to say it isn't true, but unfortunately, it needs saying! They say that, I suspect, because I've been critical of a book they like, or because they're friends with an author whose book I've critiqued. There's a perception that I'll criticize books with Native characters if the author or illustrator isn't Native. That isn't true, either. For those who need proof, below is a list of books I like that are by writers who are not Native. 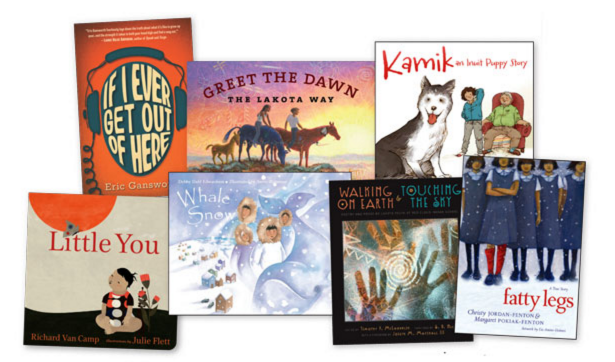 Some are books categorized as being about Native people, while others are ones that include Native content but aren't categorized as being about Native people. Some of these are books on an extensive list I created with Jean Mendoza in 2006 and some are ones I've written about, or recommended, elsewhere. 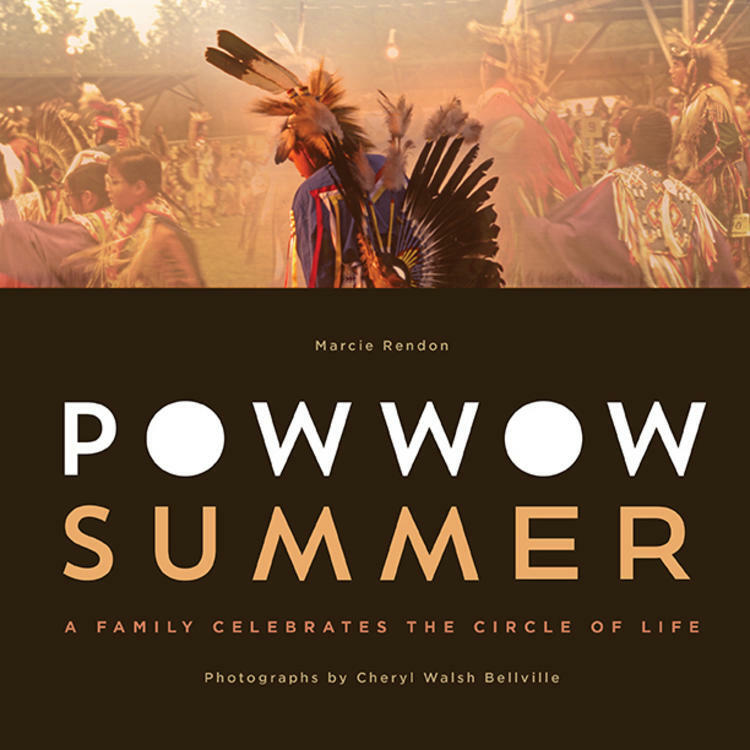 Powwow by George Ancona, published in 1993 by Harcourt Brace Jovanovich. Earth Daughter: Alicia of Acoma Pueblo by George Ancona, published in 1995 by Macmillan. The Impossible Knife of Memory by Laurie Halse Anderson, published in 2014 by Viking. Very Last First Time by Jan Andrews, illustrated by Ian Wallace, published in 1998 by Aladdin. Who Will Tell My Brother? by Marlene Carvell, published in 2004 by Hyperion. Whale Snow by Debby Dahl Edwardson, illustrated by Annie Patterson, published in 2004 by Charlesbridge. On the Move by K.V. Flynn, published in 2014 by Wynnpix Productions. Daughter of Suqua by Diane Hamm Johnson, published in 1997 by Albert Whitman. Shadowshaper by Daniel José Older, published in 2015 by Arthur A. Levine. A Children's Guide to Arctic Birds by Mia Pelletier, illustrated by Danny Christopher, published in 2014 by Inhabit Media. Cradle Me by Debbie Slier, published in 2012 by Starbright Books. I read a lot of other books, too, that aren't about Native people. 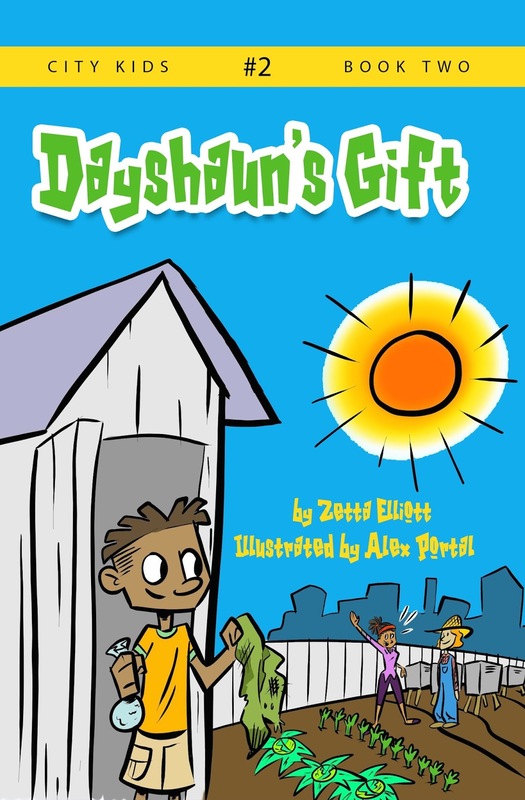 A recent one that I read and love is Zetta Elliot's Dayshaun's Gift. And, Matt de la Pena's The Living. And Fake ID by Lamar Giles. And Ash by Malinda Lo. When Reason Breaks by Cindy L. Rodriguez! And Benjamin Alire Saenz's Aristotle and Dante Discover the Secrets of the Universe, and Aisha Saeed's Written in the Stars. Back when I was teaching first grade, Eric Carle's books were amongst my favorites to read aloud at storytime. And we have a dear video from 1992 when I was reading Galdone's Over in the Meadow to our then-baby, Liz. The dear part is her chiming in as I read. Right now, I'm partway through All American Boys by Jason Reynolds and Brendan Kiely. And I can't wait for my copy of Don Tate's Poet: The Remarkable Story of George Moses Horton. Did you watch the video yet? If you're one of the people who hears other people say "Debbie Reese hates white people," I hope you'll tell them to go to my site and look for a post titled "Debbie Reese hates white people." Scroll down to the bottom of this post to see links to discussions of A Fine Dessert, discussions I'm framing as what-to-do about books like it, and, 2016 discussions of A Birthday Cake for George Washington (another book that depicts smiling slaves) The list of books that have been revised is no longer on this page. It has its own page: "Stereotypical Words and Images: Gone!" 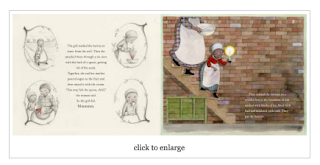 I'm seeing influential people in children's literature--from librarians to academics--decrying the discussion of A Fine Dessert as one in which people are "tearing each other apart" or "tearing this book to pieces." For literally hundreds of years, African American families have been torn apart. African Americans are objecting to the depiction of slavery in A Fine Dessert. Please have some empathy for African American parents whose lives and the lives of their children and ancestors is one that is characterized by police brutality, Jim Crow, and the brutal violence of being enslaved. If you wish to use a picture book to teach young children about slavery, there are better choices. Among them is Don Tate's POET: The Remarkable Story of George Moses Horton. Watch the book trailer. Buy the book. Use it. What I see as a black woman is a skilled house slave training a slave girl how to be a proper house servant for the master's family. This skill actually would make her more valuable on the market, so it is important that she learns well. The master would usually have them doing small things like picking up garbage at 3 and fully laboring by 7 years old, so you have the age right. It's likely she would have never known her mother and was being trained to be a proper house slave by a woman she didn't know.The woman would likely be strict, maybe even beating the girl herself if a mistake was made on this dessert, for she too would suffer if it were not right. The girl would know she was property by then and the "beat" you mentioned would be the pace of her heart, for fear of the punishment, if she made a mistake. Published this year, A Fine Dessert arrives in the midst of national discussions of diversity. It is an excellent example of the status quo in children's literature, in which white privilege drives the creation, production, and review of children's and young adult literature. A Fine Dessert is written and illustrated by white people. A Fine Dessert is published by a major publisher. A Fine Dessert, however, isn't an "all white book." As the synopsis indicates, the author and illustrator included people who are not white. How they did that is deeply problematic. In recent days, Jenkins and Blackall have not been able to ignore the words of those who find their book outrageous. Blackall's response on Oct 23rd is excerpted below; Jenkins responded on October 28th. Blackall and Jenkins could have avoided the challenge of setting the 1810 scene on the plantation. They did not. They could have simply chosen a family without slaves or servants, but they did not. They clearly approached the situation thoughtfully. The enslaved daughter and mother’s humanity is secure as they work together and enjoy each other, despite their lack of freedom. In the 1810 table scene — the only time in the book when the cooks don’t eat the dessert at the dinner table — each of the African American characters depicted has a serious look on his or her face (i.e., there is no indication that anyone is enjoying their work or, by extension, their enslavement) while the children in the family attend to their parents and siblings or are distracted by a book or a kitty under the table. In its own way, the little nod to books and pets is also a nod to the privilege of the white children. They don’t have to serve. They don’t have to fan the family. They get to eat. Hidden in the closet, the African American mother and daughter have a rare relaxed moment away from the eyes of their enslavers. Since I have already read some online talk about the plantation section, I assume the committee will have, too. 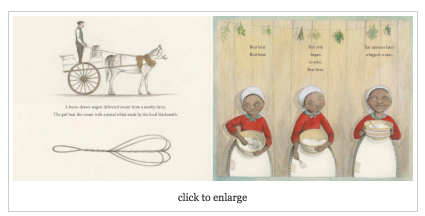 I know that we all bring our own perspectives to reading illustrations, and I trust that the committee will have a serious, open discussion about the whole book and see that the choice to include it was a deliberate one. Perhaps the committee will wish Blackall had set her second vignette in a different place, perhaps not. Will it work for the committee? I have no idea. But I do know that a large committee means there will be all sorts of readers and evaluators, with good discussions. It’s clear that the creators had noble goals, and a criticism of their work is just that—a criticism of the book (not them). But despite the best of intentions, the result is a narrative in which readers see slavery as unpleasant, but not horrendous. 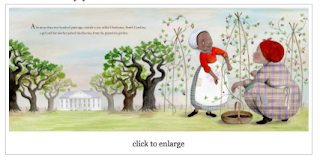 Based on the illustrations, there are too many implications that should make us as adults squirm about what we might be telling children about slavery:1) That slave families were intact and allowed to stay together.2) Based on the smiling faces of the young girl…that being enslaved is fun and or pleasurable.3) That to disobey as a slave was fun (or to use the reviewers word “relaxed”) moment of whimsy rather than a dangerous act that could provoke severe and painful physical punishment. ... the text and art in the book need to be appropriate for the largest common denominator, namely that younger audience. Robinson's words about audience are the key to what is wrong with this book. I'll say more about that shortly. In that comment, Blackall talks about school visits and positive responses from teachers, and librarians, and parents. My guess? Those are schools with primarily white students, white teachers, white librarians, and white parents. I bring that up because, while Blackall doesn't say so, my hunch is she's getting that response, in person, from white people. That positive response parallels what I see online. It is white women that are praising this book. In some instances, there's a nod to the concerns about the depiction of slavery, but the overwhelming love they express is centered on the dessert that is made by four families, in four centuries. Praise is not the response from Black women and mothers. On October 25 at 12:37, fangirlJeanne's, who identifies as a Polynesian woman of color, sent a tweet that got right to the heart of the matter. She wrote that "Authors who assume a young reader doesn't know about slavery or racism in America is writing for a white reader." In a series of tweets, she wrote about the life of children of color. With those tweets, she demonstrated that the notion of "age appropriate" content is specific to white children, who aren't amongst the demographics that experienced--and experience--bullying and bigoted attacks. Clearly, Blackall is taking solace in Betsy Bird's You Have to Read the Book. Aligning herself with that post is a mistake made in haste, or--if she read and thought about the thread--a decision to ignore the voices of people of color who are objecting to her depiction of slavery. My hope is that the people on the Caldecott committee are reading the conversations about the book and that they will subsequently choose not to name A Fine Dessert as deserving of Caldecott recognition. The book is going to do well, regardless of the committee decision. Yesterday, the New York Times named it as one of the best illustrated books of 2015. That, too, speaks to a whiteness that must be examined. In this post, I've focused on the depictions of slavery. I've not said anything about Native people and our absence from Jenkins and Blackall's historical narrative. Honestly, given what they did with slavery, I'm glad of that omission. I'm reminded of Taylor, a fifth grader who was learning to think critically about Thanksgiving. She wrote "Do you mean all those Thanksgiving worksheets we had to color every year with all those smiling Indians were wrong?" 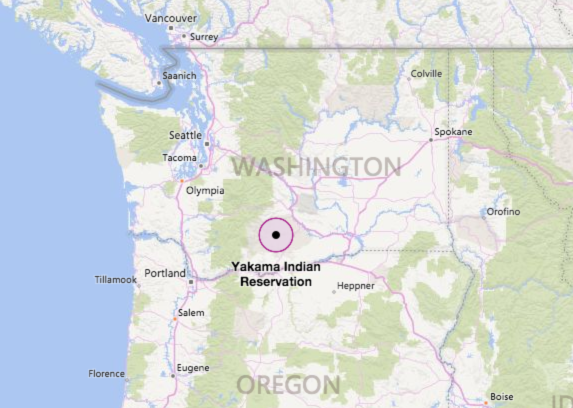 The American settings for A Fine Dessert, of course, are all on land that belonged to Native peoples who were forcibly removed and killed to make way for Americans to raise their families, to pursue their American dreams. I imagine, as I point to that omission, that people will argue that it isn't fair to judge a book for what it leaves out, for what it didn't intend to do. That "not fair" response, however, is the problem. It tells people who object to being left out or misrepresented, to go away. This book is "not for you." This particular book is symbolic of all that is wrong with children's literature right now. A Fine Dessert provides children with a glossy view of this country and its history that is, in short, a lie about that history. We should hold those who create literature for children to a standard that doesn't lie to them. The only time I’d imagine selecting this book for classroom use would be to evaluate it collaboratively using an anti-bias lens (like the guide by Louise Derman-Sparks found here). As I see blog posts and media coverage of this book, I'll add them here. If you know of others, let me know (update on Nov 14, I added additional links and sorted them into distinct categories). I'm adding them by the dates on which they went online, rather than the dates when I read them myself. This set of blog posts and news articles are primarily about the book and controversy. A Fine Dessert is not unique. For hundreds of years, those who are misrepresented in children's or young adult literature have been objecting to those misrepresentations. Nov 5, 2015. Critically acclaimed children's book criticized for depicting 'happy slaves' by Sadaf Ahsan at the National Post. This set of links are primarily on what-to-do about the controversy over A Fine Dessert and, broadly speaking, diversity in children's/young adult literature. A lot of them echo previous writings. For decades, people have been writing about how writers and illustrators and editors can inform themselves so they don't stereotype or misrepresent those who are not like themselves, and people have been writing about what we, as readers (parents, teachers, and librarians) can do to encourage publishers to publish books that do not misrepresent our distinct cultures. 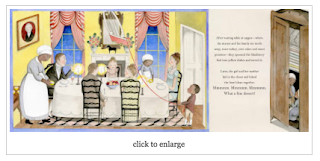 This set of links is to items about a 2016 picture book, A Birthday Cake for George Washington, which also depicts enslaved people, smiling. 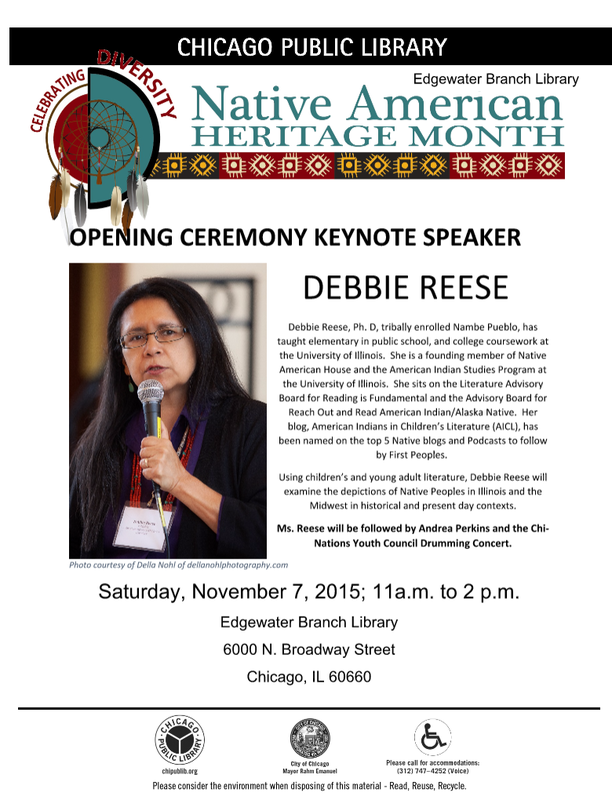 I am pleased to be the keynote speaker at the Chicago Public Library, Edgewater Branch, on November 7, 2015, as the library system there kicks off its programming for Native American Heritage Month. Della Nohl took that photo of me a few years ago when we were both at a Culture Keepers gathering. Do hit that link and see what Culture Keepers is all about. You'll learn a lot about working with Native people and you'll come to know people like Omar Poler of the Sokaogon Chippewa Tribe of Wisconsin, who was named as one of Library Journal's Movers and Shakers in 2014. And, check out Della Nohl's page. Right now (October 28, 2015) the photo at the top of her page is of the Indian Agency House in Portage, Wisconsin. Knowing about Culture Keepers and knowing about Della Nohl's work is part of my world. Earlier today, I submitted a comment to Betsy Bird's blog post at School Library Journal. There, she is making the argument that people have to read a book in its entirety to say anything meaningful about the book. I disagree. A painting in a big gold frame of an Indian squaw kneeling by a fire needs dusting. Rosoff's Picture Me Gone is not about Native people. It is, however, a best selling book, and part of what I do is read some of those bestsellers so that I stay abreast of the happenings, so to speak, in children's and young adult literature. Rosoff used "Indian squaw" -- a term most people view as offensive. Did Rosoff know it is offensive? Did Rosoff's editor know it is offensive? My guess is no. I speculate that they don't know because they don't step over into the world that I am in. So many Native children don't do well in school. Might they do better if the textbooks they read were ones that honestly presented their nations, past and present? Might they do better if they didn't come across terms like "squaw" as a matter of course, in the literature they read? As I write this blog post and think about what I'll say in Chicago, I'm thinking about Rosoff's book, and I'm thinking about troubling books that are being discussed as possible winners of prestigious children's literature awards: Laura Amy Schlitz's The Hired Girl and Emily Jenkins and Sophie Blackall's A Fine Dessert troubling. And Rae Carson's Walk On Earth a Stranger has, perhaps, some of the most damaging content that I've seen in a very long time. 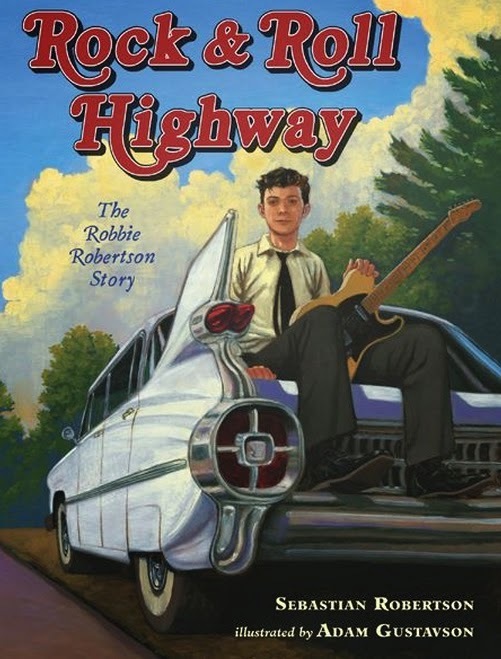 It was on the long list for the National Book Award. 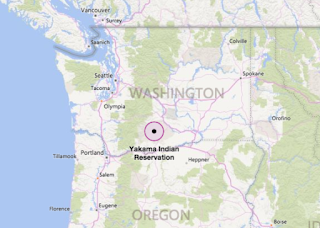 My guess is that people who come to my talk on the 7th will be people who care about Native peoples, our histories, our cultures, and our lives. They will likely want me to talk about good books. It isn't enough, however, to know about books that accurately portray who we are; people have to know the others, too, because in the publishing world, they take up a lot of space. Please put this day of events on your calendar! Bring your friends! Step into my world, and help me bring others into it, too, so that the status quo changes... So that best selling writers and books deemed worthy of awards are not ones that denigrate Native people. Below is the press release Chicago Public Library is sending out. Chicago Public Library is "Celebrating Diversity," with its annual observance ofNative American Heritage Month. Throughout November, the Library offers a variety of programs highlighting the history, culture, traditions, and contributions Native Americans have made to Chicago, the state of Illinois, and to the U.S. In addition, a selected bibliography and the Library’s 2015 Native American Heritage Month Calendar of Events are available at chipublib.org. The opening program for Native American Heritage Month takes place on Saturday, November 7, at 11:00 a.m., at the Edgewater Branch, 6000 N. Broadway St. Debbie Reese, author, lecturer, and blogger will be the keynote speaker. Ms. Reese is tribally enrolled at Nambe Pueblo and has a PhD in Education from the University of Illinois and an MLIS from San Jose State University. Her research articles and book chapters on American Indians in Children’s Literature are used in Education, Library Science, English, and Creative Writing courses in the U.S. and Canada. Andrea Perkins and the Chi-Nations Youth Council will provide drum performances. A film screening of, From Old to Modern, which focuses modern activism will also be presented by the Chi-Nations Youth Council. During Native American Heritage Month, the Library will present interesting, entertaining and informative programs for all ages, including storytelling and crafts for children, lectures, film screenings, art exhibitions and workshops, and adult book discussions. Al Eastman, a certified archery coach with the Olympic Committee’s USA Archery program will teach the ten-step form of safety techniques for a hands-on archery demonstration with Olympic-style recurve bows. Eastman started the archery program at the American Indian Center in 2010 to help youth learn about math, science and history through archery. Allen Turner, creator of Ehdrigohr—a table top role-playing game—will present this fun and challenging game that incorporates Naïve American themes. Turner has been involved in storytelling, games, play design, and education for most of his adult life. His work includes coordinating youth and adult programs focusing on literacy, storytelling, role-playing, and team dynamics for developing inference and problem-solving skills. Artist and musician Dan Pierce will explore the meanings Dreamcatcher components and instruct participants in how to use materials to craft Dreamcatchers that they can take home. Pierce has taught music and art in the Chicago Public Schools for more than 20 years. For more information about the film series, or for the complete listing of Native American Heritage Month events, dates and locations, please visit chipublib.org. Throughout every calendar year, Chicago Public Library “Celebrates Diversity” and its importance to a sustainable society, during all of its ethnic heritage and diversity month celebrations including: African-American History Month, Women’s History Month, Asian and Pacific Islander Heritage Month, LGBT Pride Month, Hispanic Heritage Month, Polish American heritage Month and Native American Heritage Month. 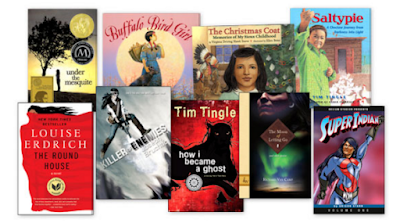 Today, a colleague asked me if I knew of an article that looked at Native imagery in the Newbery Medal winners. I don't know of such an article and thought I'd just start making notes here. No analysis, yet. I'm using Google Books, Amazon's "look inside" feature, Project Gutenburg... whatever I can to compile these excerpts. The first medal was awarded in 1922. The first one that is about Native people of North America is Waterless Mountain, published in 1932. They had tried to use the Indians as labourers in the fields and in the mines, but the Indians, when taken away from a life in the open, had lain down and died and to save them from extinction a kind-hearted priest had suggested that negroes be brought from Africa to do the work. "He is a mysterious person," said the Doctor--"a very mysterious person. His name is Long Arrow, the son of Golden Arrow. He is a Red Indian." "Have you ever seen him?" I asked. "No," said the Doctor, "I've never seen him. No white man has ever met him. I fancy Mr. Darwin doesn't even know that he exists. He lives almost entirely with the animals and with the different tribes of Indians--usually somewhere among the mountains of Peru. Never stays long in one place. Goes from tribe to tribe, like a sort of Indian tramp." Miles Philips was his name and the manner of his suffering at the hands of the Indians and the Spaniards may serve as a warning. For they flung him into prison where he was like to have starved; and they tortured him in the Inquisition where he was like to have perished miserably; and many of his companions they beat and killed or sent to the galleys; and himself and certain others they sold for slaves. Note: It is a collection of 19 folktales of the native peoples of Central and South America. Can't see anything on line. Note: Nothing that I can see online. All the stars was out and showing off, and the braves was a chasing the buffalo plum around the Big Dipper, the water hole of The Happy Hunting Grounds. They were sure the Indians had carried me away and I think this made Phoebe even more distressed about my loss. Uncle told Father to ride to the trading post for help. At the post the Big Man was very busy trying to do something for everyone. A party of tourists was asking questions about every little thing. One wanted to know if the Indians still scalped people. "I have never seen it done," said the Big Man as he went on addressing envelopes on his typewriter. Note: the Big Man is a white trader. The Navajo father wants him to heal his son, who is sick, and calling out for the white trader. That's it for now... More later. Did you read Dreaming in Indian, edited by Lisa Charleyboy and Mary Beth Leatherdale? It came out last year to much acclaim, and last week, it received an award from Wordcraft Circle. Awards from ones own community are especially valuable. They signal to a reader that people who know a people, from the inside, find the book to be amongst the very best available. 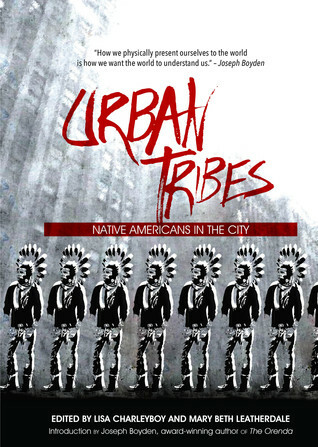 Charyleyboy and Leatherdale's new book, Urban Tribes: Native Americans in the City, also published by Annick Press, was released in August of this year. Isn't that cover exquisite? Inside you'll find art, and stories, and poems written by Native people. There's joy, for example, in the photographs of actor Tatanka Means. You may have seen him in Tiger Eyes, the film adaptation of Judy Blume's story. Photographs of him in Urban Tribes include one of his dad, Russell Means, braiding his hair, and several of him holding a mic. I find his words striking as I read them this week in light of ongoing arguments made by adults who think kids can spot stereotyping and bias. Long also writes about the Native community in Phoenix that sustains him. Fifteen year old Maggie, and 17 year old Michaela are Cree/Dene. Their thoughts on going back and forth from Meadow Lake, Saskatchewan to Beauval, on the English River First Nation, are spread over six delightful, gorgeous pages. Urban Tribes includes Dear Native College Student, You Are Loved, an essay by Dr. Adrienne Keene that circulates widely in Native networks online and a two-page spread of the Faceless Doll Project created by students at the Eric Hamber Secondary School in Vancouver, through which students use collage to call attention to the missing and murdered Indigenous women in Canada. And, it includes a two-page spread full of information about Native peoples in the US and Canada. As with Dreaming in Indian, I find myself studying it, pausing, and thinking about the young Native people who will study it, too, finding possible selves in the pages of Urban Natives. I highly recommend it. As most people in children's literature know, Laura Amy Schlitz's book, The Hired Girl, has been the focus of a great deal of discussion over the last two weeks. That discussion is primarily centered on her use of "civilized" to describe Indians, and, her depictions of Jews. The point of view in The Hired Girl is a 14 year old girl who is Roman Catholic. Her name is Joan. Today, I am taking a look at a passage in The Hired Girl that has bearing on heated discussions of late about diversity and "who can write." Meg Rosoff's comments on Edith Campbell's Facebook page and Michael Grant's post are two recent examples of the discussions, and I think Schlitz, through her character, is chiming in, too, in the later part of her book. David, a Jewish character in The Hired Girl, has his heart set on being a portrait painter. He doesn't want to take up a position in his father's department store. He wants to study painting in Paris. He is working on a painting of Joan of Arc, for a French woman named Madame Marechaux. A devout Catholic, Madame Marechaux wants to see Joan of Arc made into a saint and wants to hang a large painting of her at the top of her stairs in her house on Fifth Avenue in New York City. If his painting is chosen, David thinks it will help him in his dream of being a painter. He asks Joan to sit for him because he thinks her physique and her face, are like that of Joan of Arc. *Two things come to mind. Muslims do not depict Muhammed. People depict him anyway, and use free speech as a defense of their decisions to depict him. What is being communicated to readers through David's words? Is Schlitz--through her characters--pushing against the growing call for diversity of authors? I think so, and, I think it is an overt move on the part of Schlitz, her editor, and her publishing house. I used Mahomet and Mahometan for two reasons. The word Muslim, which is now preferred, was not in use until much later in the twentieth century. And, as a reader of Jane Eyre, Ivanhoe, and The Picturesque World, Joan would have encountered the words Mahomet andMahometan. These are the words that were used at that time.